Emma (Colyer) Ross has been around horses for 30 years. She competed as a young girl and teenager in showjumping and dressage. Emma went on to gain her BHS AI teaching qualification and ran a busy London based riding school for many years. During this time she also worked with new horses coming into the yard and would train them up as riding horses. Emma also worked for a 24 hr emergency transporter for vets. Emma is trained in equine massage and zoopharmacognosy which is the self selection of herbs and esssential oils for animals to self medicate with. Over the years Emma has taken in many horses with a combination of behavioural and physical problems. 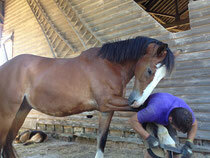 They have become the Intuitive Horse herd and they work with Emma to help people in many different ways. Since 2002 Emma has been exploring the Horse- Human relationship, initially through her own relationship with her horses. Becoming aware the horses were reflecting her behaviour through their own Emma became interested in how the relationship with her horses changed as she adapted her behaviours and emotional states. 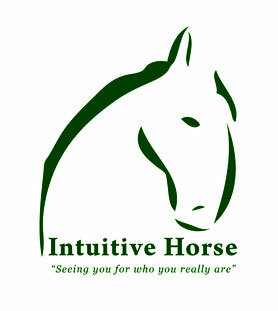 In 2008 Emma started trying this way with other people and as a result developed the Intuitive Horse way. Emma regularly attends courses and workshops to widen her knowledge in areas of human and horse behaviour as she continues to develop her work. Emma has worked with people in areas such as personal development, anxiety, depression, stress, anorexia, DID, OCD, ADD, ADHD, M.E, special needs, adolescents, looked after children, people with fears of horses, people wanting to further their connection with horses, horse riders, corporates, therapists and other professionals. 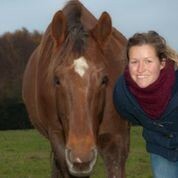 Pippa is a registered Osteopath who works with us to keep the horses (and the Intuitive Horse team!) fit and healthy. After graduating from the European School of Osteopathy in 1994, she worked both in private practice and at the Osteopathic Centre for Children, where she qualified as a Paediatric Osteopath. After having her family, she fulfilled her career ambition of training to treat animals. Pippa completed her postgraduate qualification in Osteopathy for Animals in 2005 and now runs a mixed practice from Ringmer, East Sussex. She is fully insured to treat animals – and their owners! She is registered with The General Osteopathic Council and is a member of The British Osteopathic Association. She is also a member of SOAP – The Society of Osteopaths in Animal Practice. 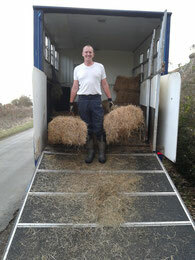 Mark is the horses Equine podiatrist and comes to trim their feet every 6-8 weeks. Mark achieved his Diploma in Applied Equine Podiatry from the Institute of Applied Equine Podiatry (AEP) By understanding that the horse has the innate ability to heal itself and that domestication of the horse has caused imbalance AEP offers the solution to the majority of hoof and foot problems, by treating the cause, rather than the symptom.